Why Do Orchestras Need Sheet Music and Soloists Don’t? Whether you are an avid orchestral performance attendee or you go to the occasional concert or two, you have probably seen at least one concerto featuring a soloist. You may have even had the opportunity to see a soloist perform with or without an accompanist (which is often a piano). One thing you may or may not have noticed, however, is how orchestras use sheet music while soloists, and even some ensembles, typically do not. Why? Lack of Time: An orchestra doesn’t have the luxury of a lot of time to learn pieces. Some professional orchestras rehearse as little as two times before performing. Community orchestras usually have about 1-2 months of rehearsals prior to a concert. Still, that is not enough time to memorize 3 or 4 pieces which can span 3-6+ pages each. Orchestras, also, typically only perform the music on one night and then move on to different music for the next concert. The sheer volume of music an orchestra goes through makes it impossible to memorize every part. A soloist, on the other hand, spends years practicing and perfecting the same pieces, performing them over and over to different audiences and with different orchestras. Breadth of Works: There is so much orchestral music out there to choose from. Estimates are nearly impossible to make especially since music continues to be written to this day. Even if you just speculate that there have been 10,000 composers throughout history and each one wrote just 100 pieces, the result is 1 million pieces. That is an awful lot of music to memorize as a member of any orchestra – professional or volunteer. And the odds that an orchestra member will play the same piece more than once or twice in their lifetime is slim. On the other hand, soloists tend to have a memorized, well-rehearsed repertoire ready to go at a moment’s notice. And when they are asked to play something outside of their repertoire or they are asked to play a new composition, they are given plenty of time to prepare and memorize the piece before performing it. Need For Consistency: Each member of a section needs to play tightly in unison with other members. You can’t have 10 first violins, each playing something slightly different. During rehearsal, conductors will typically give direction about tempos, dynamics (volume), bowings, and breathing and the musicians will note that in the sheet music to remember for future rehearsals and the performance. Memorizing the music and remembering all those directions is not only difficult, but also not useful for future performances where other conductors may ask for something different. Soloists, however, have a lot more room to interpret the music as they want. The accompanist or orchestra follow the solo performer’s lead. All of this is not to say that being a soloist is any easier than playing in an orchestra. Soloists have a unique skill set and face different challenges. They are required to perform their best with very few rehearsals – maybe 1 or 2 or at most. They are expected to play from memory but, at the same time, play with a passion that keeps the audience engaged. The bottom line is that orchestra members and soloists use sheet music differently due to their unique circumstances and requirements. What Is A Pops Orchestra? If you’ve attended orchestral performances or listened to classical music for any length of time, you’ve probably seen the terms “philharmonic”, “symphony”, and “chamber” in the names of various organizations. “Pops” is another common term (as in the Boston Pops or the Denver Pops Orchestra). The first three are used to denote different sized groups. A chamber orchestra is the smallest while “symphony” and “philharmonic” typically refer to groups large enough to play the great symphonies. “Philharmonic” is also a proper name used to distinguish orchestras in the same city. “Pops” is another story. It refers to the type of music played by the group. Simply put, it is an orchestra that plays popular music as well as well-known classical works. They are groups that perform lighter classics, American favorites, popular music, show tunes, and film music. Many feel they are an alternative to the “highbrow” orchestras since they aren’t afraid to let their hair down a little. Of course, we here at the Parker Symphony aren’t afraid to let our hair down at times even though we don’t have the “pops” moniker. Examples include the Boston Pops Orchestra and the Denver Pops Orchestra (as mentioned before) as well as the Hollywood Bowl Orchestra, the American Pops Orchestra, and the Cleveland Pops Orchestra. These groups tend to have friendly relationships with the traditional professional orchestra in their city, often sharing members (although typically not the first chair players). What music does a pops orchestra perform? On the classical side, you may hear Strauss waltzes and polkas, overtures from composers like Rossini, Mozart, and von Suppé, and a movement or two from a famous Beethoven or Mozart symphony. On the popular side, you might hear the music of an iconic band like The Beatles, the music from a hit Broadway show like Hamilton, and movie themes from composers like John Williams, James Horner, Hans Zimmer, and Thomas Newman. Interestingly, critics of pops orchestras suggest that the fact that they are separate organizations has removed some of these more famous classics from traditional symphony orchestras’ repertoire which has hurt attendance. They tend to “remove some music whose principal reason for existence is pure entertainment”. To answer this, traditional orchestras have been putting on more programs in the style of pops orchestras. Philharmonic orchestras and symphony orchestras have always occasionally played a pops concert here or there, but more recently, these organizations have found success in themed concerts and even playing a film score alongside the movie. Even we here at the Parker Symphony perform pops concerts to help draw in new and different audiences. For example, our 2016 “PSO Goes To The Movies” concert included single movements from symphonies and short classics featured in films. Pops orchestras and concerts will probably always have a place. After all, to quote the New York Philharmonic’s vice president of artistic planning, “Not every subscription concert, week in and week out, should be so deadly serious.” Whether pops plays more or less of a role in the future is hard to say. For now, those who want to hear serious performances, there are always programs available featuring masterful concertos, full symphonies, and choral works. For those who are looking for lighter entertainment, check out the various pops orchestras and concerts in your area. Do any small amount of searching in Google for phrases like “why join an orchestra” and you’ll start to notice that most articles cover reasons to play with a school music group. But what about reasons to join your local community orchestra? Many groups are on the lookout for new members, so there’s no shortage of opportunity out there. However, there is also no shortage of reasons why you, as an adult, should audition for a local group like the Parker Symphony. Here are just 10 of the many compelling reasons to join a local symphony orchestra. Meet New People: Whether you’re new to an area or a longtime resident, you’re bound to meet new people when you join your community orchestra and the best part is that these people share a common interest – a love for playing music. Some may be music professionals like performers and educators. Others may be amateurs with non-music day jobs. But all come together to practice and perform the thing that they love. You’ll not only be able to socialize with others who can relate to your love of classical music, but you may form new friendships and find new contacts who can help you in other areas of your life (career, for example). Build Up Confidence: If you haven’t been an active performer in a while, but still have the dedication and talent, playing in an orchestra can help give you that confidence to perform again – especially if you play in a section with others. Maybe you can still play the pieces you know well, but your sight-reading skills are a little rusty. Or perhaps you are used to playing as a soloist so you aren’t sure of your ability to follow a conductor or listen and adjust to other players. No matter the reason, a community orchestra offers a venue for you to re-establish yourself as a group performer. Express Yourself! : This almost goes without saying. Music in any genre is a form of self-expression. Community orchestras are an excellent creative outlet for adults. Escape the Day-to-Day: Life is full of daily stresses. Work, family, bills, and other responsibilities can take their toll. Playing in an orchestra, on the other hand, requires a great deal of focus. For that reason, rehearsals and concerts can be a great way to divert your attention away from day-to-day troubles, stress, and to-do lists. Challenge Yourself! 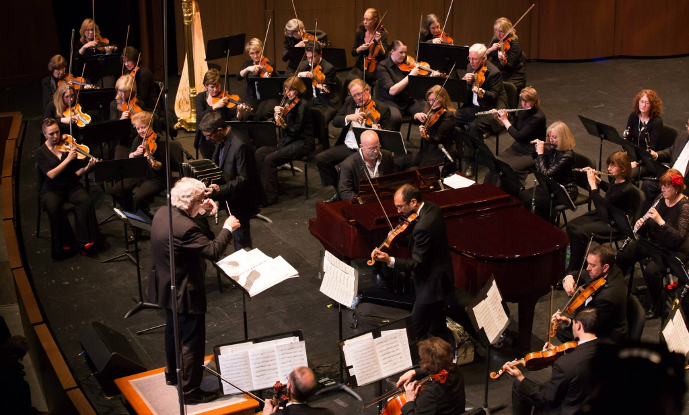 : Just because members of community orchestras aren’t paid doesn’t mean they play easy pieces. Sure, we’ve all played our fair share of parts that require little to no practice, but for each of those, there are many Beethoven pieces or John Williams scores that we spend hours on. And don’t forget about the occasional solo you may encounter. Maintain (or increase) Coordination: As we age, our motor skills tend to decline. Playing an instrument can help maintain or even increase coordination including fine motor skills. Inspire Others: Symphony orchestra concerts are a source of inspiration for the surrounding community. Audiences range from children to seniors and from young to young-at-heart. Students who attend may be inspired to pick up an instrument and join their school band or orchestra. Other adults may decide to audition for your group or listen to more classical music. Some orchestras also put on special programs like free children’s concerts specifically designed to educate and inspire. Improve Your Résumé: Are you looking to advance your career? Are you early in your career path and looking to beef up your résumé? Listing that you perform with a community orchestra can not only catch employers’ eyes, but also gives you something to point to when asked about teamwork, dedication, working well with others, and self-improvement. Keep Your Mind Active: In addition to helping with coordination, playing music with an orchestra can help keep your mind active. Not only are you perhaps learning new things, you are literally giving your brain a workout. Performing with an orchestra is an intellectually demanding exercise and the proof of that is how mentally exhausted, but satisfied you feel after a good rehearsal. Have Fun! : Last, but definitely not least, joining a community orchestra is a great way to have fun. Unlike professional groups that are highly competitive (for a good reason), local community symphonies are often made up of people who simply want to have fun doing something they love. Are you looking for a fun community orchestra to join in the Denver metro area? Check out the Parker Symphony. We hold typically hold auditions in August and ad hoc throughout the rest of the year. See our Auditions page for more information. Many major cities, including Denver, have a thriving music scene that includes a symphony orchestra. In fact, there are over 1,800 orchestras in the US alone. However, only about 20% have professional musicians (source: League of American Orchestras). The other 80% are volunteer, or community, orchestras made up of musicians who gladly donate their time and efforts to entertain, educate, and inspire their local community. Even though many of us live near one of the professional organizations, we probably live even closer to a community orchestra that performs great music right in our backyard. If you haven’t checked yours out, especially if you are in the Parker area and haven’t heard the Parker Symphony Orchestra yet, here are 8 reasons why you really should attend a concert and support or even join your local community orchestra. There’s nothing quite like the experience of getting all dressed up to see the Symphony downtown in the big city. But there’s also nothing quite like the ticket prices either. If you would like to experience live classical music performances on a regular basis but can’t afford to do so at the big venues, community orchestra concerts are for you. Single concert tickets or even season tickets are quite reasonable and you hear many of the same works including famous symphonies like Dvorak’s “New World Symphony” and pop culture favorites like the Music of John Williams. So you don’t have a tuxedo or evening gown or you don’t know much about classical music? Maybe you want to introduce your kids to the genre? Community orchestra concerts are a great place to hear wonderful music that you may or may not be familiar with and tend to have a more relaxed atmosphere. While people still dress nicely, most of tuxedos, if not all, are worn by the male performers in the orchestra. The music is often very listenable and the audience is full of people of all ages and music knowledge levels. Community orchestras also sometimes offer children’s concerts to introduce very young kids to classical music and the various musical instruments. 3. A Local Symphony Orchestra Is Good for Business. Businesses that want to attract capable and smart employees often choose a location based on local cultural opportunities. The thought is that an area with lots of cultural events is likely to attract a diverse, dynamic, intelligent, and talented group of people. A community orchestra not only provides residents a way enjoy the arts locally, but it also offers an opportunity for local musicians to perform. From youth choirs to local soloists to upcoming virtuosos, you can often hear the newest and brightest talent perform with community orchestras. Many are very supportive of the local schools, sometimes inviting students to play with the organization either as part of a section or as a soloist. Community orchestras are more than just groups of local performers – they are really ambassadors for music in the area. Volunteer orchestras certainly have their fair-share of musicians who are professionals in other groups, music teachers, and more. But if your day job isn’t in music, that doesn’t mean you can’t still play your instrument. If you’ve got the talent, a community orchestra may have a place for you too. In fact, the Parker Symphony Orchestra is always looking for good, local musicians to join us. Playing music has been shown to have long-term positive effects on the brain as outlined in this Ted-Ed Video. Need a musician for your next event? Are you looking for a music teacher? Chances are an orchestra member can help or connect you with people who can. Getting to know the members of your local orchestra can connect you to the greater music scene in your area. 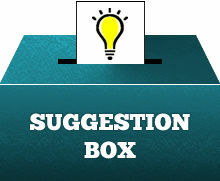 You can get recommendations about music, classes, other events, instruments, repair shops, and more. Music is an essential part of almost every event. While live bands are often the go-to for entertainment, local orchestras, too, can help celebrate the moment. A community orchestra can provide the perfect backdrop for a city anniversary celebration, a night under the stars, and more. Orchestral holiday music, like that at the Parker Symphony Orchestra holiday concerts, is a family-friendly way to ring in the season. Many community orchestras are actually non-profits, relying solely on public and private support. For example, the Parker Symphony is a registered 501(c)3 organization so all donations are tax-deductible. Giving to a local symphony is a wonderful way to give back to your local community and help keep the music playing.